In October 1917, the A.B.C. Wasp seven-cylinder radial air-cooled engine was considered to offer much promise, and on the 31st of that month Sopwith was invited by the Air Board to tender designs for a single-seat fighter utilising that power plant. Four prototypes were ordered, these being of conventional construction, and, on 23 November, the company was asked to build two additional prototypes with plywood monocoque fuselages. In view of its intended function adoption of the name Snail for the new single-seater was bizarre, this being approved on 16 February 1918. 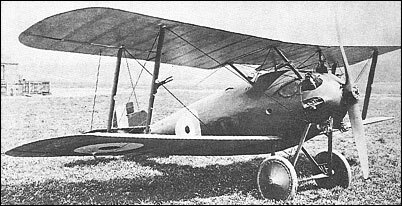 Powered by a 170hp Wasp I, the first prototype Snail was completed in April 1918, this having negative wing stagger and fabric skinning for its circular-section fuselage. Intended armament comprised two synchronised 7.7mm machine guns, a third weapon of similar calibre being mounted above the wing centre section, to starboard of the cut-out. The remaining three prototypes of conventional construction were not completed, the next Snail to fly being the first of the two with plywood monocoque fuselages and positive wing stagger. On 9 May, the monocoque Snail was sent to Martlesham Heath for official trials, the reports being less than complimentary about its manoeuvrability and low-speed control. When, in October 1918, it was decided to abandon the Wasp engine, further work on the Snail was terminated, the second monocoque prototype being discontinued before completion. Ordered in competition with the B.A.T. Basilisk and Westland Wagtail. The Wagtail was considered the best of the three. However, all three were eventually abandoned due to the failure of the unreliable ABC Wasp radial engine.